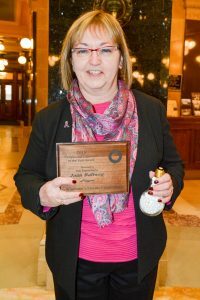 Three state lawmakers are the latest recipients of the Wisconsin Electric Cooperative Association’s (WECA) Enlightened Legislator of the Year Award, presented annually during the statewide organization’s Education and Lobby Days in Madison. 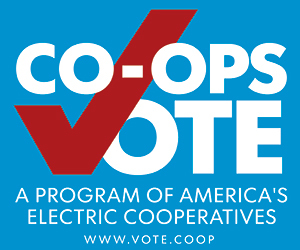 The award recognizes strong support for electric cooperatives, accessibility to co-op members, help navigating the legislative process, and work on bills advancing co-op and energy-related issues. More than 150 cooperators from across the state attended the event. The Government Accountability Office (GAO) is expected to begin an investigation late this spring into the systematic posting of phony public comments in federal regulatory proceedings by individuals or interest groups falsely using other people’s identities, The Wall Street Journal has reported. The pending GAO probe follows December Journal stories detailing thousands of fraudulent rulemaking comments filed under the names of people who told the newspaper they weren’t involved. Agencies bombarded with falsified comments include the Federal Communications Commission, the Labor Department, and the Federal Energy Regulatory Commission. The extent of such abuses—which can be federal felonies—has exploded as they’ve grown more technologically efficient, but they aren’t new. Four years ago, WECA uncovered evidently manufactured public comments on the Environmental Protection Agency’s Waters of the United States rulemaking, and an inspector general later concluded the agency’s hidden involvement in promoting the regulation had violated federal lobbying law. The recent incidents have involved hundreds of thousands of electronically posted comments both supporting and opposing proposed regulations. Chicago-based Exelon Corp. announced in February it will accelerate the retirement of its Oyster Creek nuclear plant at Forked River, New Jersey, terminating operations this October although the plant is federally licensed to run until 2029. Under an agreement with the State of New Jersey, Exelon is required to close the plant by the end of 2019. Oyster Creek is the nation’s oldest currently functioning nuclear plant, having entered commercial service in 1969. The early retirement will remove 636 megawatts of capacity from the grid and reduce the number of active U.S. commercial power reactors to 98. Kenneth Johnson, CEO and general manager of Missouri’s Co-Mo Electric Cooperative, has been designated as administrator of the Agriculture Department’s Rural Utilities Service (RUS), the White House has announced. A Nebraska native, Johnson has served as a statewide director of the Association of Missouri Electric Cooperatives and has served on the association’s executive and legislative committees. National Rural Electric Cooperative Association CEO Jim Matheson said the organization was “excited and thrilled” by the announcement. The RUS administers programs to help provide or improve water and waste treatment utility, electric power and telecommunications services in rural communities. A January analysis by the northeast regional electric grid operator anticipates precarious generation fuel supplies despite historically abundant natural gas resources and warns of cold-weather rolling blackouts in upcoming years. The report echoes last December’s Wisconsin Energy Cooperative News feature noting tight fuel supplies and natural gas price spikes amid organized opposition to new or upgraded natural gas pipeline capacity. 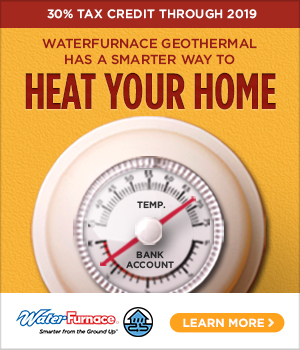 The crunch stems from increasing natural gas demand for home heating at the same time the power industry shifts increasingly to the cleaner-burning fuel. The service area directly affected is far from the Midwest but an Energy Department report, also in January, revealed notable changes in the generation mix across regional grids reaching as far west as Illinois during the severe cold weather early this year. The New England Independent System Operator’s report analyzed 23 scenarios. It concluded that without new pipeline capacity, by the winter of 2024-25 rolling blackouts would be necessary in 19 of the 23 scenarios, and only one would require no emergency actions.